The Ur-4711 Echt Kölnisch Wasser is one of my very personal nightmare scents, which penetrates my head like a scalpel, gives me a rapid headache and then I can't get it out of my nose. A really unpleasant fragrance for me. Correspondingly suspicious, I watched the rehearsal from the Remix Cologne series. And only tested very carefully. You can never know which scent knife will shoot out of the scent pyramid next and maltreat my brain martially. The first slight sniffing takes the fragrance of neroli, bitter orange and bergamot from the perfume. Not bad at all and without a knife. Fresh orange-citric, light and summery, not sweet, but a little bitter, which should be owed to the bitter orange. Another sniff seems to be allowed. Still for the sunny citrus fruits of the south. He could actually be a real summer cooler. It's time for a deeper smell now. And there it is, the scent knife, shoots out between the oranges, bergamot and lemons as quick as an arrow and cuts them sharp as a razor, in order to find its way back over my nose, piercing and drilling into my brain. The original Cologne water is hidden under all the fruits as if waiting at the bottom of a full orange and lemon box to come out after the first fragrance unfold. Not dominantly superficially playing, but somewhat sneakily lurking, but my head does not let itself be deceived and reacts promptly with the well-known headache. 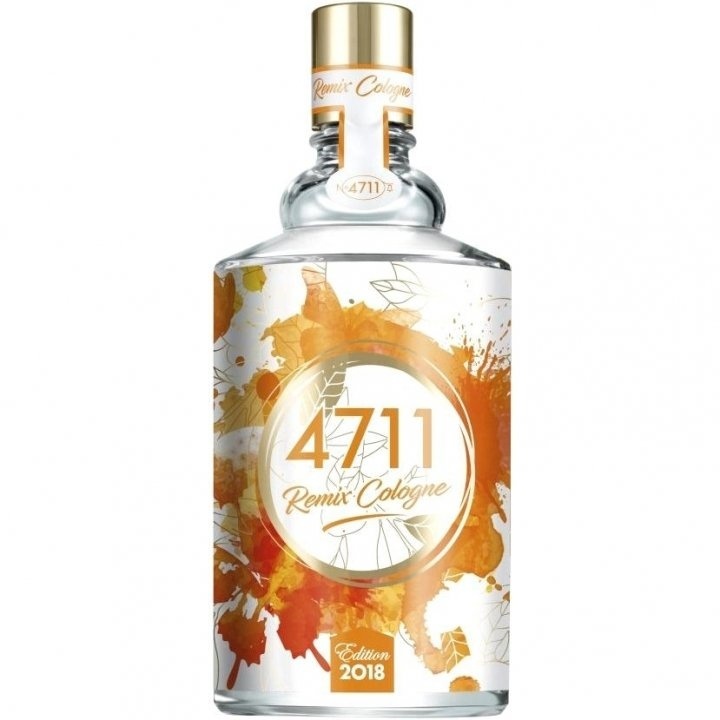 I don't think you have to introduce the traditional brand 4711, because everyone knows the famous classic 4711 Kölnisch Wasser and has been known and loved worldwide for centuries. And rightly so! Remix Cologne Edition (2018) would certainly have had what it takes to become a classic as well if it weren't for a limited edition that will soon no longer exist. Too bad! This refreshing water is for me a highlight of the brand in the olfactory sense, because it has such a beautiful cheerful, lively scent character, is wonderfully citrus-fresh and has also slightly floral notes intus. It can be worn by virtually anyone and on any occasion. Whether it's the young girl, a young woman, or the more mature generation. This jewel has convinced me totally and when I wear it my mood always lifts up and a sense of well-being sets itself with me. For spring and summer Remix Cologne is the right scent garment and I already got some compliments for it..
After the application Remix Cologne sprays a citric freshness which has a vitalizing effect. Herb-citric scented bergamot immediately combines with a hint of green tea, which, however, is not very present and juicy lemon, think immediately of tangy lemon water when sniffing. After a few minutes I notice flowery facets, namely gardenia in very small measure and Neroli. This is quite strong with from the lot throughout the fragrance process. Blood orange? I rather smell orange which is also juicy and lively and combines with all the scent notes within a short time. The base note is not very noticeable to me, at most cedar, which is green and has a subtle pencil note typical for it. But not in a negative sense! 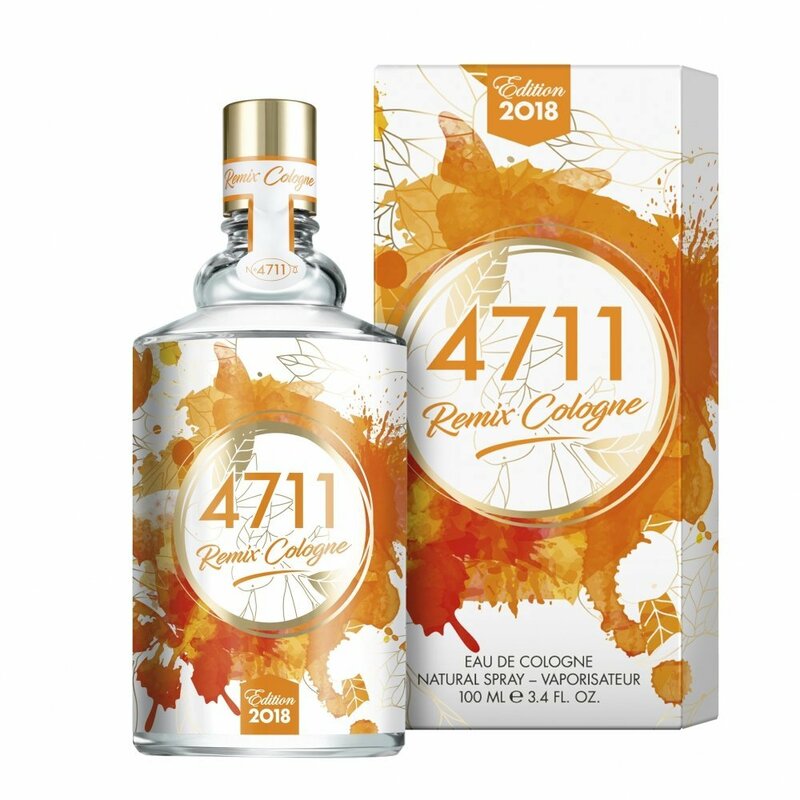 All in all, this great cologne from 4711 does not undergo any special fragrance development in the classic sense. All scent notes are quickly adjusted to "adjust yourself", and stick quite well for an Eau de Cologne. I know of some waters from 4711 that have a rather poor shelf life, and don't have such a buoyant, vivacious scent aura! And that's why this water is an absolute highlight for me among the citric colognes. Let's see what the brand has to offer in the future, I am really curious! The fragrance is very good. The shelf life rather mediocre, but since it is a cologne, so it is good with 3-4 hours shelf life. I like the design of the bottle with its lettering. Worth a test in any case!